Now that its late fall; your gutters have probably been cleaned out like a million times or more. The more maintenance that’s put into them; the more valuable they become to the homeowner. If you haven’t had the time to put into the gutters and you feel that they are fully loaded; you should start thinking about having gutter protection installed. There’s absolutely no doubt that gutter cleaning is one of the more important responsibilities for homeowners. Leaves, dirt, twigs and sediment can often times clog your gutter and downspouts; creating additional expenses that you don’t need. What do you think is more expensive; having a gutter guard or cover installed or replacing the roof and gutter system completely? Think about it for a minute; covers and guards are a 1/3 less than the costs to even have roof repairs done. Typically, a repair, along with a roof inspection, will cost anywhere from $200-$5,000. This all depends on the severity of the roof, the steep and the type of roof that is on the home. Trying to seek the condition of the gutters on your own can leave to grave dangers in Charlottesville. Rust is one of the most common problems when it comes to gutters. Nice iron oxide resides in the channel for too long; it gets mixed in with the moisture and forms rust. 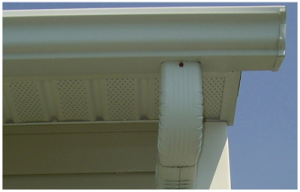 Rust will cause you to have to replace your gutter prematurely. Mold tends to be another major problem for gutters. Once mold formulates; it is very hard, sometimes next to impossible, to remove it. Mold can be very damaging to one’s health and not very sanitary to have growing in or out of the home. Cleaning habits have not changed over the years in regards to the gutters. Every Saturday you can spot majority of homeowners up on their ladder with gloves on and tossing debris to the side. Now you can relax on your Saturdays off. In order to keep up with your gutters; you’re going to need gutter protection. Remember, your gutters are an integral working system on the home which needs TLC and maintenance done to them every so often. 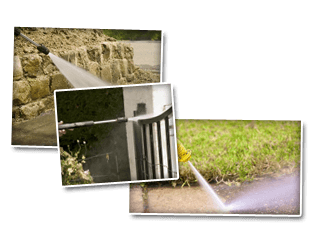 Call Cavalier Window Cleaning & Power Washing when you do!